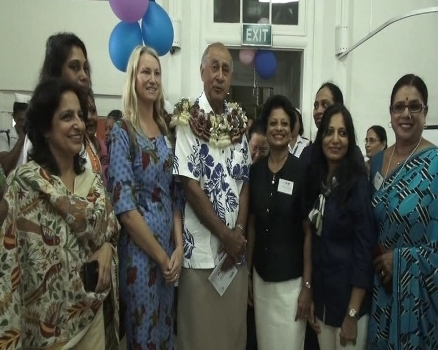 President Ratu Epeli Nailitikau opened the International Women’s Association, Lau ward at the Colonial War Memorial Hospital in Suva today. The newly renovated and renamed ward will provide modern health facilities for women and offers a safe environment for healing and wellness. Medical Superintendent Dr Jemesa Tudravu says the ward is a step forward for patients and staff. “It adds towards the healing process and patients and their relatives, come and spend days and weeks in a situation like this and have to live in here, it helps the healing when they look around the environment, it’s pleasant, it safe, not only for them, but for the staff who work here as well’’. The new ward includes medical equipment like ECG machines, vital sign monitors and other medical apparatus donated by the International Women’s’ Association. The renovations cost about one hundred twelve thousand dollars, and will house eighteen patients with eighteen nurses and support staff.